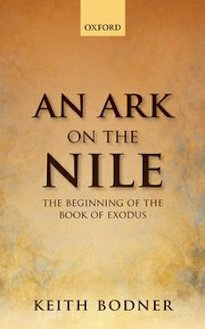 The story of the exodus from Egypt has always captivated readers. This account is also one of the central planks of biblical theology. When the “God of the Hebrews” demands, “Let my people go” (Exodus 9:1), his words resonate throughout the biblical canon. The prophets and apostles continue to remember the strategic impact of this account (“Out of Egypt, I called my Son,” Hos 11:1; Matt 2:15). Noting that this “plot of rescue remains among the foundational paradigms of redemption in the Hebrew Bible” (p. 1), Keith Bodner seeks to demonstrate that the central action of the book of Exodus is preceded by several gripping and hermeneutically significant scenes. He argues that “the opening sequence of the book of Exodus unfolds an exceptional narrative that foreshadows a significant amount of the forthcoming storyline in the rest of the Pentateuch and establishes a lasting paradigm of redemption for Israel” (p. 174). For Bodner, “there are grounds for suggesting that Exodus 1-2 foreshadows various plot-movements in the rest of the book” (p. 3). “It is striking,” Bodner insists, “how many aspects of the forthcoming storyline are presaged early in the book of Exodus, and even in the opening chapters a sense of anticipation is generated” (p. 3). After briefly surveying recent scholarship on these opening chapters of Exodus, Bodner outlines his approach. He employs a “close reading” of these chapters that focuses on “literary devices and aesthetic elements” like intertextuality, irony, characterization, and a variety of narrative techniques (p. 10). With an eye toward these textual features, Bodner adopts a narrative-critical approach that, while mindful of diachronic insights, remains focused on “the aesthetics of the final form of the canonical text” (p. 13n25). Before his analysis of Exodus 1-2, Bodner explores several “images of Egypt in Genesis” (chapter one). The exodus narrative is inexplicable apart from its setting within the Pentateuch. As Bodner writes, “not only is the book of Genesis foundational for the story of Israel as a nation, but also its major themes and characters are presupposed in Exodus” (p. 17). These “refractions” of Egypt in the Genesis narratives include Abram and Sarai’s brief excursion to Egypt during a famine, Lot’s choice of land, and the plight of the Egyptian servant Hagar. Most significant, though, is the Joseph narrative that contains verbal and thematic links to earlier Abraham narratives and anticipates features of the exodus narrative. As Bodner reflects, “Joseph’s slavery and adversity epitomize what the nation will soon experience, and the brothers may have acted as evil as any tyrannical Pharaoh, but God’s promise is unwavering” (p. 39). In chapters 2-6, Bodner provides a close, sequential reading of the first two chapters of Exodus. In a concluding section, Bodner discusses the relationship between Exodus 1-2 and the larger story of the Pentateuch. He also suggests a few broader canonical connections with the Esther narrative (pp. 179-85) and also the opening chapters of Matthew’s Gospel (p. 179n8). Because he follows Exodus 1-2 so closely, the coherence of his book as a whole demonstrates his thesis about the coherence and carefully constructed nature of the biblical narrative. Throughout his study, Bodner consistently emphasizes facets of the Exodus narrative that are uncovered by a textual approach. For example, while many commentators expend much effort in identifying the Pharaoh in Exodus 1 in the historical record, Bodner moves in the opposite direction and investigates the literary effect of this “nameless” Egyptian king who is in a mad pursuit of establishing his own name. In direct contrast to the powerful ruler of Egypt, two midwives who lack any social status are both named (Shifrah and Puah) and are given “houses” by the Lord. This notable contrast highlights the new pharaoh’s “midwife crisis” (p. 64) and uncovers the powerful irony that pervades the opening narrative scenes. Another example is the way that Bodner is able to demonstrate the interpretive significance of minor characters in these brief chapters. When the sons of Jacob come to Egypt seeking grain, the “steward” who assists Joseph is “depicted as a character in his own right whose actions and words are integrated into the thematic web of the narrative” (p. 35). The steward speaks a word of peace that comforts the brothers. These simple words and actions “set the tone for the subsequent characters, as his surprising discourse about God’s involvement with the brothers and their silver is surely an intriguing element of the storyline” (p. 37). Relevant for a study of Exodus is that “similarly configured minor characters are encountered early in the book of Exodus” (p. 36). In fact, this “pattern of anonymous minor characters who act on behalf of the sons of Israel” is central to the compositional strategy of the immediately following opening Exodus narratives. This type of textual insight is a common feature of Bodner’s study. These observations enhance a reading of individual pericopes and uncover intratextual connections between broader swaths of narrative. In his analysis, Bodner does not interact at length with typical historical-critical questions regarding these texts. However, this omission is an intentional feature of his narrative-critical approach (see pp. 10-11). As Bodner acknowledges, he does not necessarily devalue the legitimacy of historically oriented reading strategies. Occasionally, Bodner complements his synchronic analysis with diachronic insights (e.g., the socio-economic impact of the Nile river in Egypt; the possible identities of the Egyptian rulers; the referent of the Egyptian storage cities, etc). His primary purpose, though, is to demonstrate the hermeneutical fecundity of a literary approach focused on the text’s final form. Within these parameters, Bodner clearly succeeds. This brief but packed volume demonstrates the richness of biblical narrative in general, the strategic importance of Exodus 1-2 in particular, and the enduring value of close readings of scriptural texts. Also in JETS 60.2 (2017): 385-87.